The world is getting flatter. What economists mean by this is that modern technology has facilitated global communication and cooperation, but has also made it easier to compete. More than ever before, speed is of the essence in business. So why not test your speed levels here? The Weir Venloop 2019 offers businesses the chance to measure up their stamina and speed against the competition. The Koenen en Co Business Run offers you the choice of competing in the half marathon, 10 kilometre and 5 kilometre distances. Each participating business can field a team of at least three and maximum five runners. The finish times of the fastest three runners will count. Which business will leave all the competitors standing? Which business offers its employees a unique opportunity to take part in a challenging team building exercise by entering the Weir Venloop ? Register your teams now! All the businesses taking part will have access to the special VIP-lounge, as outpacing the competition is not the only aim of the Weir Venloop, networking is equally important! Each year, interest in taking part in the Koenen en Co Business Run is growing. 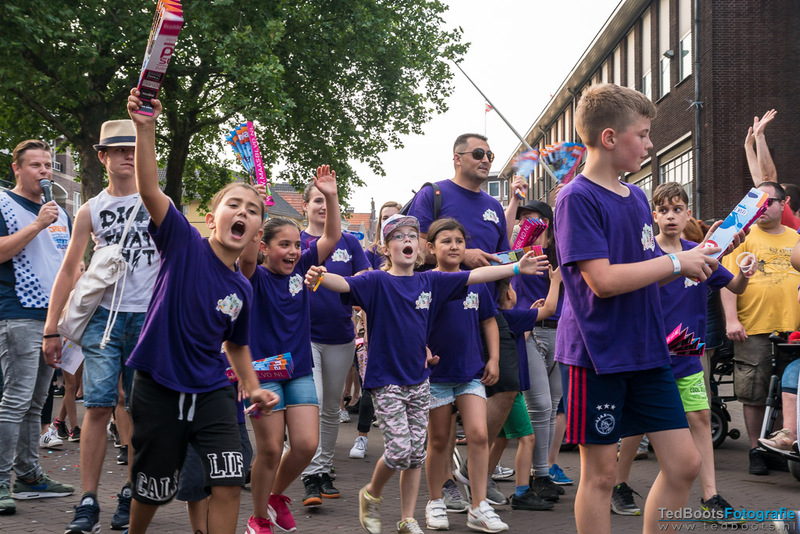 More and more teams are registering on behalf of their employers to take part in one of the many runs organised throughout the Netherlands. A sporting performance achieved as a team is good for the sense of collegiality at your company and will help make sure your employees are healthy and motivated. A Business Run is also a supreme opportunity to place you and your company in the spotlights. The Koenen en Co Business Run is an ideal way of fostering the team spirit at your company. Practising what is basically an individual sport within a team context can act as a performance-booster to go faster and aim higher. It also gives team members a chance to anticipate the excitement of the actual event for weeks and months in advance, by training together for example, or simply discussing the race. And healthy rivalry between the various teams at your company may emerge as a result! Maybe you could consider linking your own company championships to the Weir Venloop. Whatever you decide, the Koenen en Co Business Run is a perfect occasion to achieve sporting success with your employees or business relations in a memorable and fun way. The Business Run is also an opportunity to meet colleagues from other companies and organisations in an informal setting before, during or after the run. To sum it up, we warmly invite you to register for the Koenen en Co Business Run during the Weir Venloop on 31 March 2019.